Established for more than 30 years, our experience, passion and reputation at Confident Dental & Implant Clinic is to give you that smile you’ve always wanted. Do you want a brighter, cleaner, more attractive smile? Are old, ill-fitting crowns causing you embarrassment? Perhaps you just want to improve the appearance of a mis-aligned or asymmetrical unevenly shaped tooth? 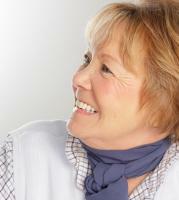 If you would like to improve something about your smile, come and see us for a consultation. Whatever improvement or change you are looking for, our team of expert dentists and specialists will be able to every possible dental treatment option here in Stroud so as to achieve your aims to improve or enhance your appearance. Whether you are looking for bonding, minimally-invasive veneers or tooth coloured fillings to improve the appearance of your teeth, or something more complex like orthodontics, crowns, bridges or implants, our experts can create the most beautiful restorations, you will not be able to tell them apart from your real teeth. At your initial visit, we’ll sit together and talk through your wishes and ideas for your improved smile. We will be able to show you examples of smiles we have created for others and with the help of both our investment in state of the art CAD/CAM technology such as Cerec digital impressions to enable same day crowns/onlays/inlays and the amazing craftmanship provided by our dental technicians, we can even show you a life-like wax model or digital simulation of what your smile could look like before even starting the treatment itself. Our practice was originally founded by Dr Ewa Rozwadowska and has now been established in Stroud, Gloucestershire for over 30 years. We have a particular passion and expertise in Cosmetic Dentistry. Our dentists are full members of the British academy for Cosmetic Dentistry, which ensures that she achieves Clinical excellence through professional development with regular education in cosmetic dentistry in the last two years. Call now and book your Consultation with one of our expert dentists and specialists to see how we can really make you smile.